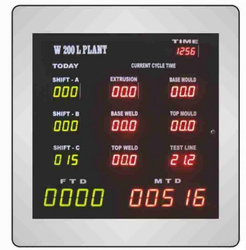 Our range of Alphanumeric Display System is available in different sizes & colors. Microprocessor based RS232, Ethernet TCP/IP, Modbus communication. 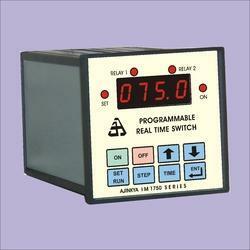 Available with various instruments as a counter,timer, temperature controllers etc. Inputs: o RS232 / RS485, Ethernet Modbus, 4-20 ma, RTD, thermocouple, pressure sensors. Signal Displays visible in broad daylight. Connectors in Large Display Size. Ajinkya Electronic Systems are also engaged in manufacturing series of IM 1758 M is Real Time Switch with Mod bus Interface with Mod bus serial interface. Ajinkya Electronic Systems have developed Steering Wheel Centering System for automobile manufacturers. the rack pinion arrangement of the steering is aligned centrally with respect to the wheel using this system. This steering wheel centering system is portable and handy and easily carried along by the operator in the field. the flexible fitting arrangement makes it convenient to sit on any model of the vehicle. the level bubble in the center helps in maintaining the correct horizontal level. 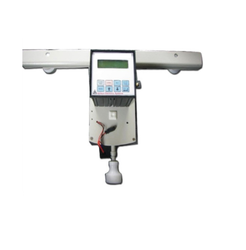 The unit has LCD display with built-in rechargeable battery to show the position in angles as it is rotated. the unit has audible buzzer indication to indicate that centering has been achieved. Looking for Process Control Equipment ?